Wireless Broadband Rental - Why Would You Want Such A Thing? Why would you want to consider wireless broadband rental services? When I first discovered that these types of data card rental services existed, it got me thinking about how useful it could be for certain people. The first thing that comes to mind is that a broadband card rental doesn't require that you invest any money in purchasing the equipment (i.e. 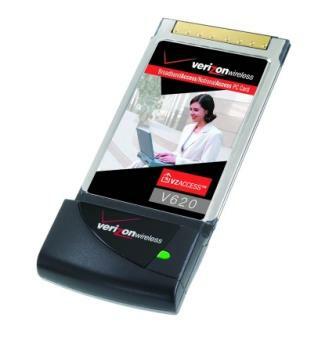 PC Card, USB Modem, or Hotspot). Postpaid customers can purchase broadband modems relatively inexpensively if they sign a long term contract, and even get equipment for free. With Prepaid Broadband you don't have to sign a contract, and monthly pricing has become very reasonable with a lot of options now available. However, prepaid customers do still have to purchase the broadband modem, which is rarely less than $100. Depending on the provider, that cost could be considered a lot of money for a service that you may not need long term, or aren't sure that you'll even get adequate cellular coverage in places where you plan to use it most. If you're planning on using it long term, and the company actually offers a money back guarantee, then you're golden! If you don't like the way it functions, you can return it at minimal or no cost to you. Unfortunately, that approach doesn't always meet people's needs. For those people who only want to use wireless broadband service on occasion, or who don't wish to invest in purchasing equipment, considering a wireless broadband rental service may be an option worth investigating. Also note that unlike purchasing equipment, over time if you do use the service sporadically (ex. twice a year for a week or two), you won't have to worry about your broadband modem being outdated, for the rental providers will generally keep up with newer equipment on a more regular basis than most of us would. The major consideration, though, not to be overlooked, is that going the rental route will cost you a premium on the daily, weekly, or monthly charges. There's absolutely no doubt that wireless broadband rental will cost you three or four times (or more) the cost of postpaid or Prepaid Broadband Services. But for that, you don't have to purchase any equipment, and you can even pay by the day if you want (though some services have a minimum number of days). Another benefit not to be overlooked, is that some wireless broadband rental providers offer products that support international roaming. Even if you have your own broadband card, you may have a short term need to go abroad where either your wireless modem won't work (because it's not compatible), or your carrier will charge you a small fortune for roaming. So for that one or two week vacation in Europe, or that four day business trip, a rental service may be a life (and money!) saver. When considering wireless broadband rental options, think about the following! Is the cost worthwhile, or would you be better off buying a prepaid broadband service, holding onto the card and purchasing usage as you need it? Do you have a network preference (i.e. CDMA, GSM, LTE)? Most of these companies offer products from the large carriers (i.e. they act as MVNOs and don't own their own networks), so you'll get to choose from services like AT&T, Sprint, Verizon, etc. If you know one of these networks performs better in the areas where you plan on using it, you'll want to keep that in mind when choosing a modem. Shipping cost. Some rental providers charge more than others, so keep your eye out for the best value. Insurance. Some providers offer damage or theft insurance. Without insurance, if the equipment is damaged, lost, or stolen, the general rule of thumb is that you're on the hook for the replacement cost of the device. As these products are generally very sturdy, I don't think the cost of insurance is usually worthwhile, but for peace of mind some people will find this option invaluable. If you don't get insurance, be sure to understand how much you'll have to pay in case you do lose or damage the device; that's the type of cost (potentially in the hundreds of dollars) that you don't want to take you by surprise! And definitely keep your coffee away from the modem! Is the modem compatible with your computer? Most services will help walk you through a compatibility check, and mobile WiFi hotspots (i.e. MiFi devices) don't require any installation, which is why I always recommend them when available. So, all in all, when considering your needs, wireless broadband rental services may be a great option for you.